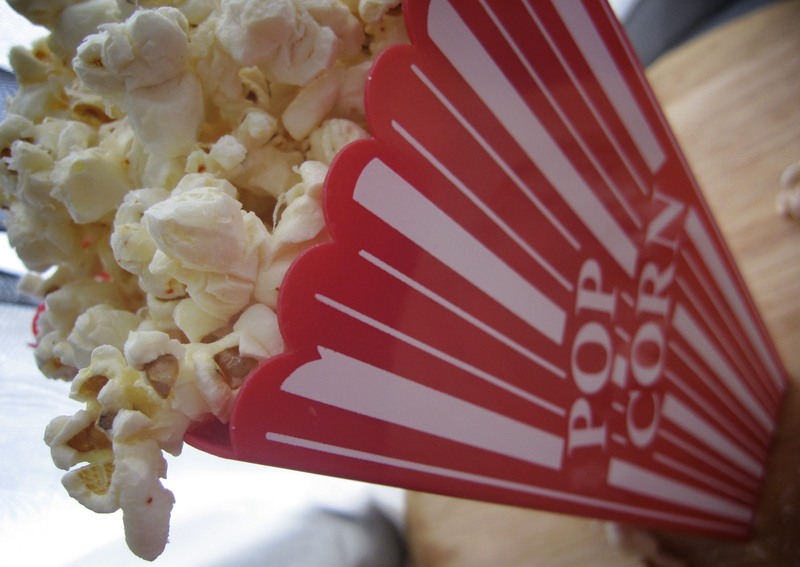 Popcorn is the perfect snack when you want something salty or even when you want something sweet. There are so many flavor combinations to satisfy any craving. 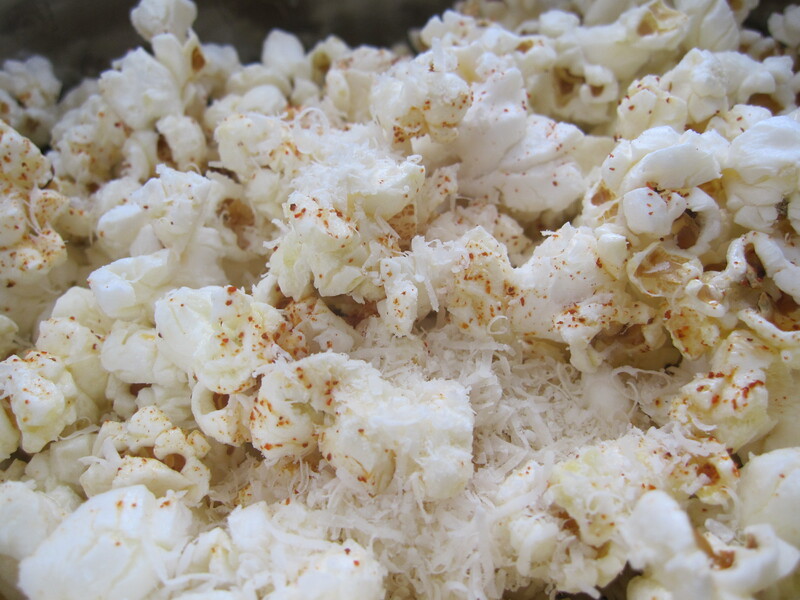 Forget about microwave popcorn, there’s nothing better than freshly popped popcorn! To make the popcorn, add the oil to a large pot. I used vegetable oil, but any cooking oil will work that has a high smoke point. Add corn kernels and cover pot with lid. Cook over medium high heat. Shake pot gently which will allow steam to escape from popping kernels. When the popping slows down, remove from heat. Some kernels will continue to pop once the heat is turned off, so make sure you wait until the popping has completely stopped until you remove the lid. Now that your popcorn is made, you can transfer it to a large bowl to season. Add truffle oil to melted butter and pour over popcorn. Add your grated parmesan, salt, and cayenne. Stir to combine. If you have truffle butter, add 3 tablespoons of melted truffle butter to your popcorn instead of the regular butter and truffle oil. I Love your Blog! It’s so cute and makes me want to run into my kitchen and start whipping up all of your delicious recipes!! I was just snacking on caramel and cheddar popcorn the other day but I will have to try parmesan truffle popcorn very soon because these pictures make it look like it’s to die for!! Popcorn + Cheese is awesome!